NEW IMPROVED GENERATION. 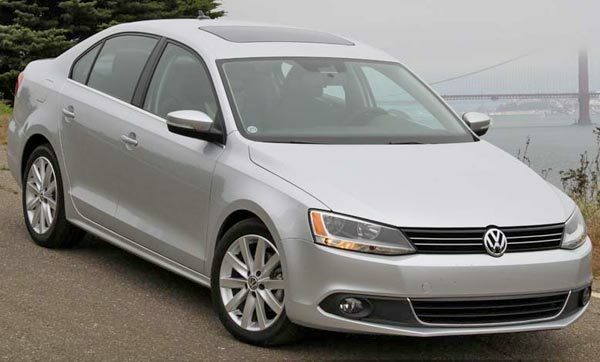 The Volkswagen Jetta SEL has a final price of $24,165 for the fully equipped. The new Volkswagen Jetta was completely renovated inside and out. Its dimensions are larger than its predecessor, resulting in superior performance, more space and comfort, however, the same DNA and design of the car remains, but with lines more clear, precise and muscular surfaces that provides it a timeless elegance and dynamic style. The horizontal front lines define the design. The grille combines with lights to create a unity of style, while the air intakes and the front spoiler gives a sporty touch. It has 18-inch wheels and the design of the rear surface is distinguished by a harmonious and powerful lighting. The Jetta, of which VW has sold more than 9,6 million units since 1979, is the best-selling model of the German firm in the U.S. and was designed by multiple teams of research and development around the world, but the final production is done in the Volkswagen plant in Mexico to the entire world, except China. The new midsize sedan of the Volkswagen marks a new era as it offers a better driving experience with style, practicality and power under the hood, that is normally found in more expensive vehicles. Has a powerful and efficient 4-cylinder engine which reaches from 0 to 60mph in 8,7 seconds in the case of the SEL version, which is coupled to a six-speed automatic transmission with sequential mode option. Despite its excellent performance, the fuel consumption is not excessive. The fuel efficiency estimated by EPA ranges from 24 mpg city up to 34 mpg on the highway. Inside has many benefits that flow from its large proportions. It is more comfortable for five passengers, and owners can customize the interior with some details. The designers worked to enhance the quality of the car with intuitive controls and instruments well placed. The navigation system is intuitive and can be used with voice commands, as well as the audio equipment and Bluetooth for wireless connection. It has six airbags and other safety features like electronic stability control and monitoring system for tire pressure and other elements of protection. The price of the SEL model with full equipment and sunroof is about $24,165 dollars.